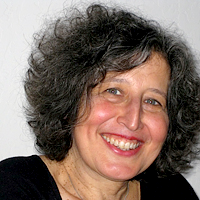 Cindi Katz is Professor of Geography at The Graduate Center of the City University of New York, and on the faculties of Environmental Psychology, American Studies, Women’s and Gender Studies, and Earth and Environmental Sciences, where she is Executive Officer. Her work concerns social reproduction and the production of space, place and nature; managing insecurity in the domestic and public environment, the cultural politics of childhood, and the consequences of global economic restructuring for everyday life. She has published widely on these themes as well as on social theory and the politics of knowledge in edited collections and in journals such as Society and Space, Social Text, Signs, Feminist Studies, Annals of the Association of American Geographers, Progress in Human Geography, Social Justice, and Antipode. She is the editor (with Janice Monk) of Full Circles: Geographies of Gender over the Life Course (Routledge 1993), Life’s Work: Geographies of Social Reproduction (with Sallie Marston and Katharyne Mitchell) (Blackwell 2004), and The People, Place, and Space Reader (with Jen Jack Gieseking, William Mangold, Setha Low, and Susan Saegert) (Routledge 2014). Her book Growing up Global: Economic Restructuring and Children’s Everyday Lives (University of Minnesota Press 2004) received the Meridian Award for Outstanding Scholarly Work from the Association of American Geographers. Katz held a fellowship at the Radcliffe Institute for Advanced Study at Harvard University in 2003-4, and was the Diane Middlebrook and Carl Djerassi Visiting Professor of Gender Studies at University of Cambridge in 2011-12.